Get the coolest DecksGo products more affordably than ever! 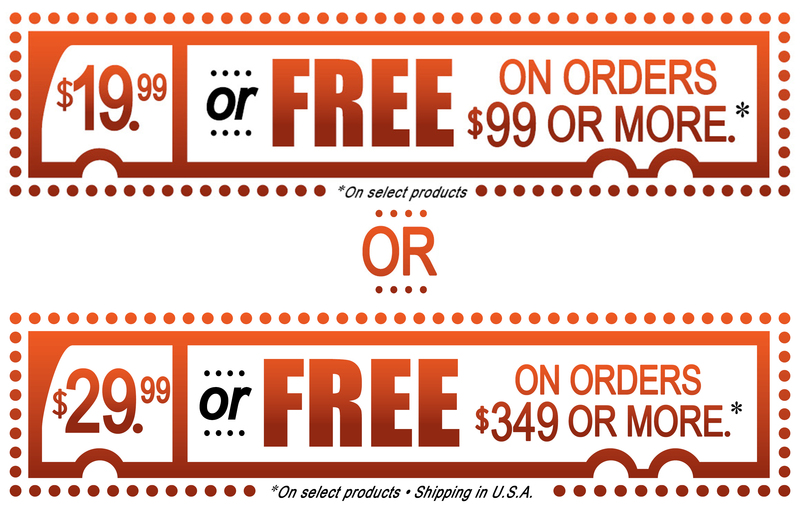 We have two free shipping programs based on the type of products you choose. Lightweight products ship for "$19.99 or FREE" when $99 or more. Heavyweight products ship for "$29.99 or FREE" when $349 or more. Look for the Shipping icon on each product page which tells you the flat rate and the order value when FREE shipping applies. This change substantially reduces your shipping cost and in many cases really does mean Free Shipping for your entire order! Thanks for choosing DecksGo! The Shadow Rail™ Stair Connector hides all screws inside it. Build deck stair railings that look like a master craftsman built them, no matter your skill level. Durable, UV protected poly carbonate gives you high performance and longevity. Each pack includes two complete connectors and screws. It's so easy. Shadow Rail™ Stair Connector are set at 35° which is the optimal angle for the recommended rise and run ratio for residential stairs. Your stairs could range from 33° to 38° and these adapters will still work fine. All that changes slightly is the length of the hypotenuse end cut on the 2x4. “I love my Shadow Rail Connectors. They were as easy as 1,2,3 to install and couldn't look any better! Highly recommend!". “These fit nicely and are a rigid metal cap. The paint looks uniform and slick and they fit nicely on a 5.5 x 5.5 square post. I cut several in half for the half posts that are attached to the house. I think these will last for many years." Want to win cool prizes from DecksGo? Take a selfie on your deck or a photo of our DecksGo Products used on your deck and Tag #DecksGo on Instagram. Then email it to decksgo.com to get entered in our monthly draw to win cool prizes. Better yet Send Us A Video And Get A Starbucks Gift Card. Click Here to Learn More.. Copyright © 2019 DecksGo All Rights reserved.